MIAMI - For the fifth year, and with a “Digital by Design” motto, Mastercard's Innovation Forum for Latin America and the Caribbean, held in Miami Beach from November 29 – 30, was the perfect stage for the main operators in payments and technology to join forces and agree how to streamline digitalization of their products and services, in order to re-imagine the user experience in the era of hyper-connectivity. The two-day event featured prominent industry personalities in payments, electronic banking and eCommerce who shared the unique platform with developers to tackle different topics in the agenda including, the convenience of “becoming more and more digital”. A remark that also connected to better cyber safety and financial inclusion, better chances for business innovation that interconnect commercial areas that used to be on separate paths, and much more. “Aside from addressing the need for more inclusive solutions, this event demonstrated that we all have a common interest in how innovation is shaping the future of commerce across our mature and emerging markets,” said Gilberto Caldart, president of Mastercard for Latin America and the Caribbean. “The true impact technology has on everyday life can only be accomplished if all the players in the ecosystem collaborate and innovate with us,” he added. 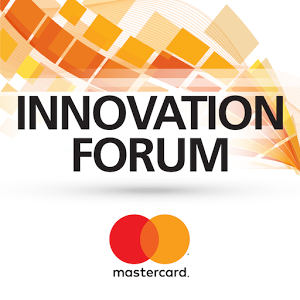 The Forum also included a sample of the latest payment solutions by Mastercard, in sync with an ever more digitalized world, such as Mastercard Identity Check (the app that uses biometrics as verification method for the card holder), Pepper (Softbank's humanoid robot, enabled by Mastercard to handle digital payments) and Mastercard Groceries (an app that gives users the possibility of ordering food directly from their refrigerator), for instance. The inventor of CAPTCHA security system, and the creator of Waze, a collaborative mobile platform that allows finding the route with least traffic and most fuel efficiency, were some examples of the noted speakers that participated in the forum. Mastercard's team presented some of its most remarkable successful cases, such as Masterpass, highlighting the permanent research and innovation conducted in the Mastercard Labs and the startup acceleration program Mastercard Start Path.